The Solo-Werks S1 Coilover system is the best entry level coilover suspension that you can buy for your B6-B7 A4. 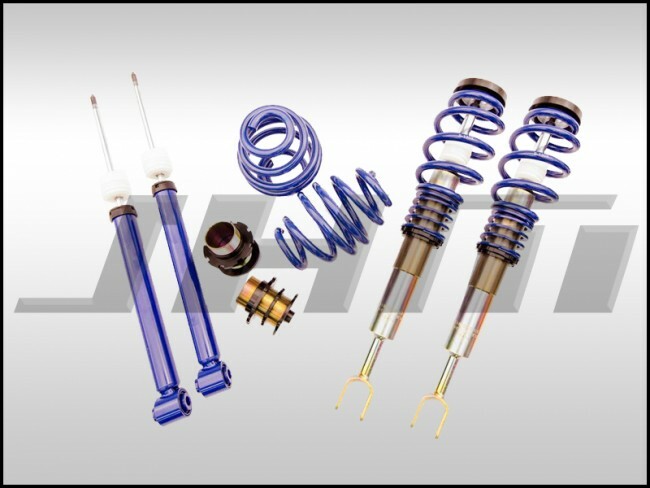 These coilovers lower the ride height of your vehicle giving you both the aggressive look and increase in handling performance you get from lowering springs while also providing the added feature of height adjustability - all without costing much more than springs!!! 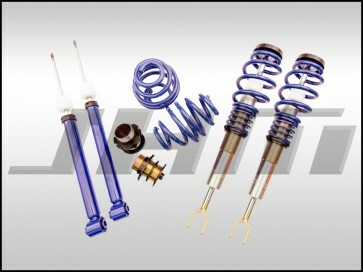 We currently run the S4 sedan version of this coilover kit on our in-house 2005 B6-S4 and we are loving it!